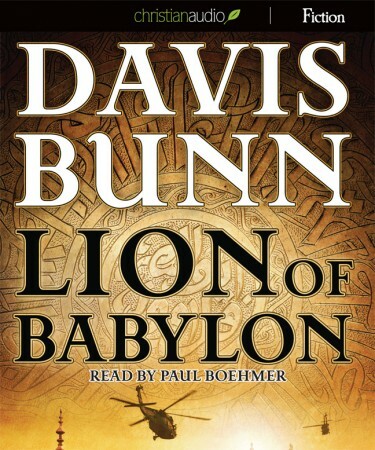 Lion of Babylon tells the story of Marc Royce, a former US intelligence operative who is called back into service to rescue a close friend who has been kidnapped in Iraq. In order to save his friend, Marc must make allies in Iraq while protecting himself from those within the US and Iraqi governments who aim to see him fail. In the process he…well, I’m not going to tell you what he does – you’re going to have to read it yourself to find out. This fast-paced thriller kept me hooked from beginning to end. I became immersed in the story and looked for excuses to continue listening. The characters are well-developed and the narration exceptional. In addition to the thrilling action and mystery, the story also includes many touching elements, from sacrificial love to powerful people humbling themselves to families being restored and the faith of a child. Author Davis Bunn is careful to give God all the glory for the amazing things that happen in this story and we see characters who are transformed by the power of the Almighty. If you’re looking for a positive story about the Middle East with a whole lot of excitement, then this is the book for you.